"New Persistent Flight Principle Demonstrated (Pumped Tri-Tether)" by inventor Dave Santos. Open-source scientists, engineers, technicians, artists, kiteologists, tinkerers, inventors, kite energy engineers, graduate students, kite makers, and others are working around the world to capture kite energy to benefit every nation's' renewable-energy programs. Air and water kite systems have the potential of bringing higher quality of life to human, animals, and plants. KiteLab is now a partner of GVEP, a major UK charity supporting alternative energy equity in the developing world. 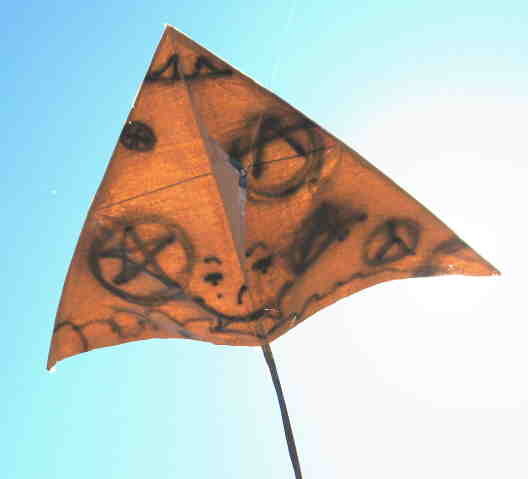 It has long been thought that a looping kite could directly drive a crank on the ground by a single line, but demonstrations were lacking. 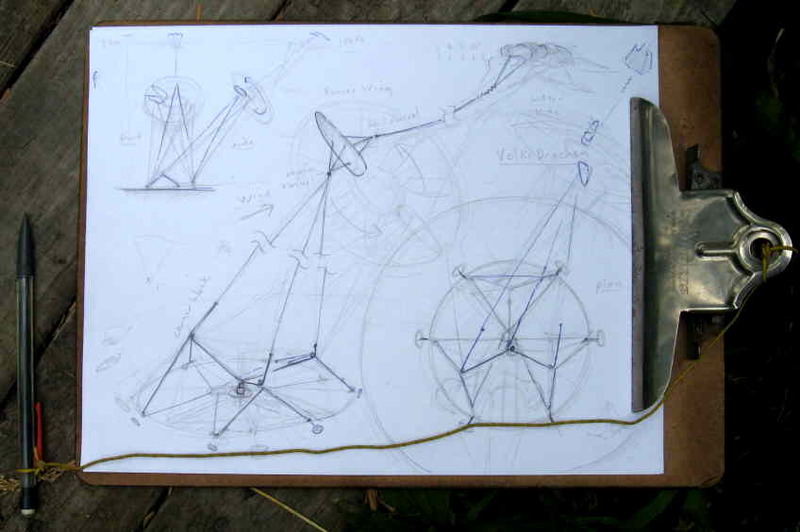 Last wednesday, in high wind, KiteLab Ilwaco made the idea work. 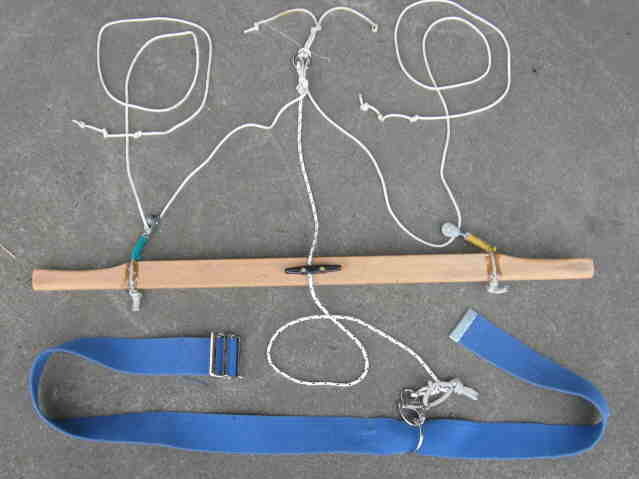 The looper was but a crude foam panel wing with a tri-bridle setting its CP & AoA. 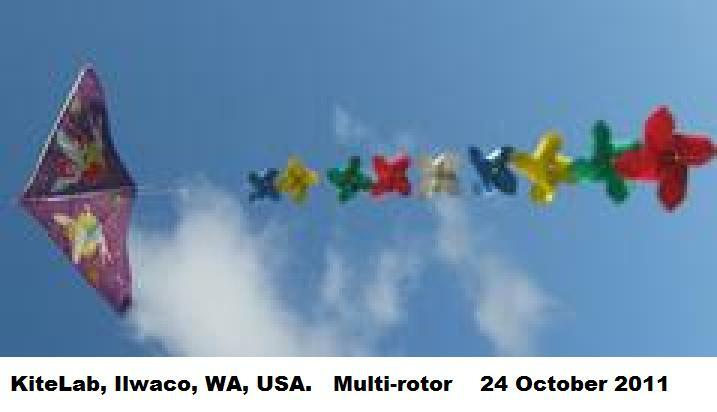 Any parafoil power kite can be rigged similarly. The inside wing tip was strung up to a tree, but a pilot kite would have served. The crank was a heavy bent wire with a plastic spool as a bearing. Fingers on the crank-shaft served as a De Prony brake to feel power seemingly just as vigorous as if a solid turbine & drive shaft were employed. This is close to The Grail, a simple way to make a "flying turbine tip" drive a generator on the ground by a single line to one anchor point. There are two basic requirements for this mechanism. The crank axis must point right at the center of the kite loop circle & the crank be rigidly held so as not to slop about. 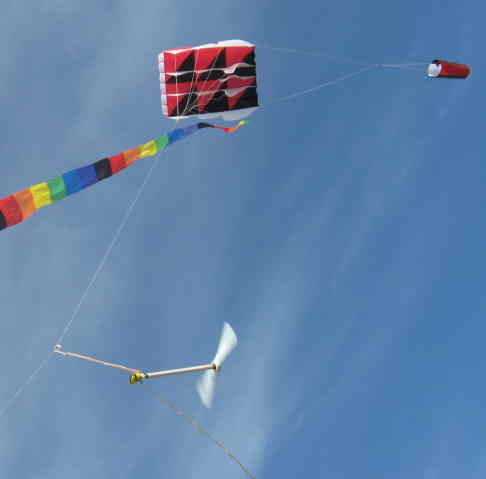 The next single-line rotary power experiments will use serious power kites, looping under pilot kites, to drive real loads. KiteLab Ilwaco has previously shown effective rotary power by three lines & reciprocating power by one line. This KiteLab of Ilwaco and Austin is a pending member of KiteLab Group as is KiteLab of Los Angeles. 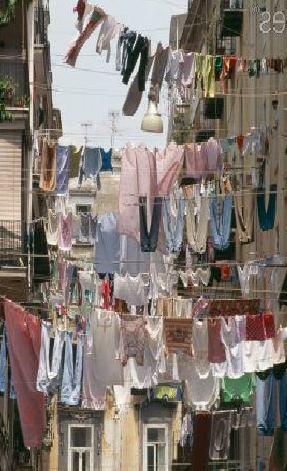 but will go with any emergent winning technology as it proves out. Kite your notes about how to effectively capture and use kite energy. Let us know what you are doing in your KiteLab.